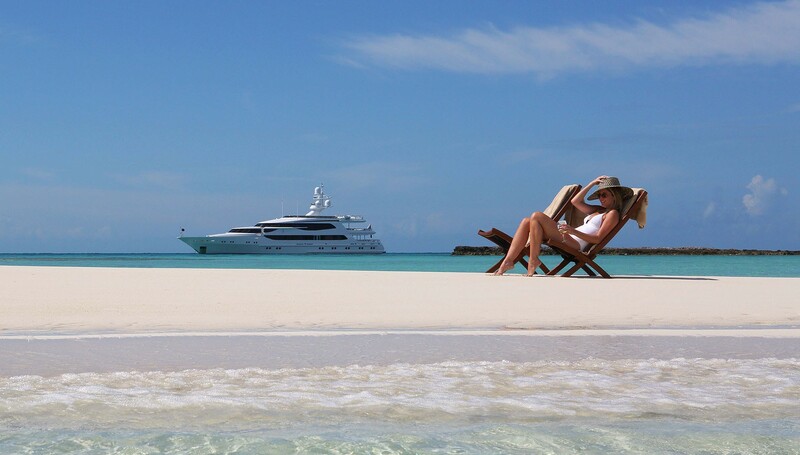 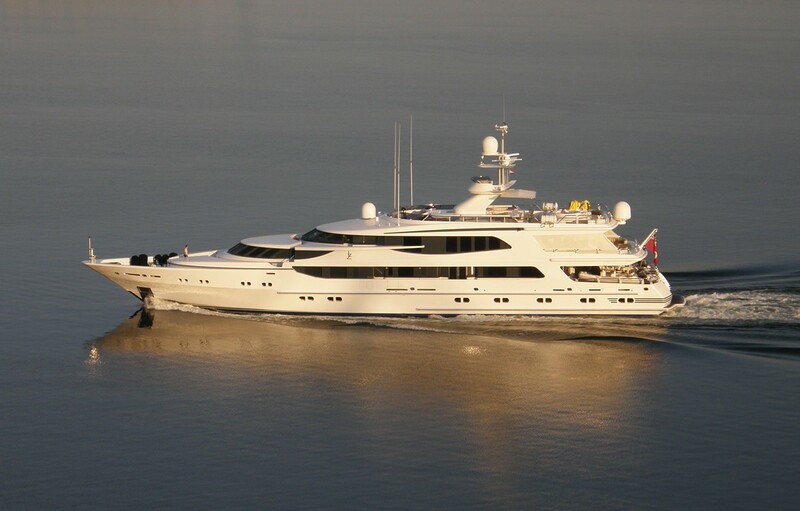 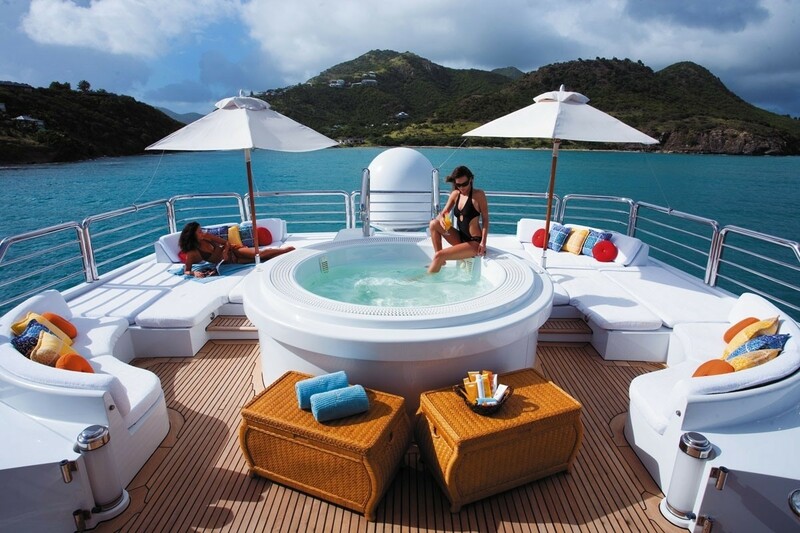 Motor yacht Lazy Z was built by Oceanco in 1997 and underwent substantial refits in 2000, 2007, 2012, 2015 and 2017. 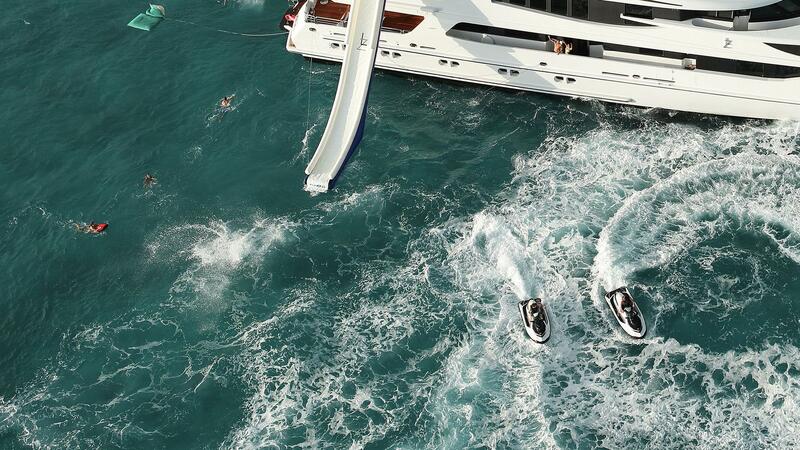 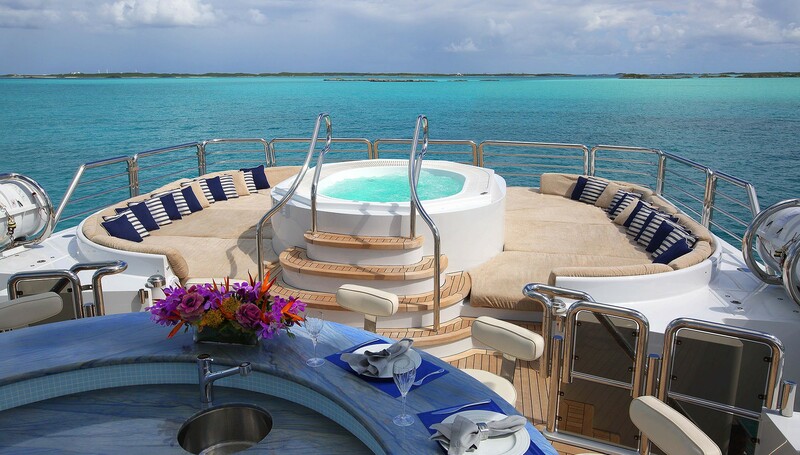 This beautiful luxury vessel, designed by The A Group, features an innovative interior with the layout and entertaining spaces for up to 12 charter guests in both luxury and style. 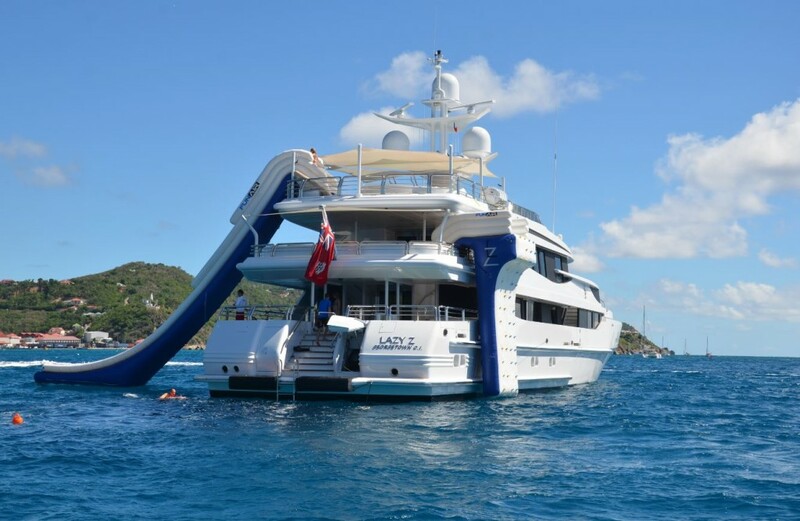 Motor yacht Lazy Z is in fantastic condition after extensive recent interior works and ready to welcome you and your charter guests onboard. 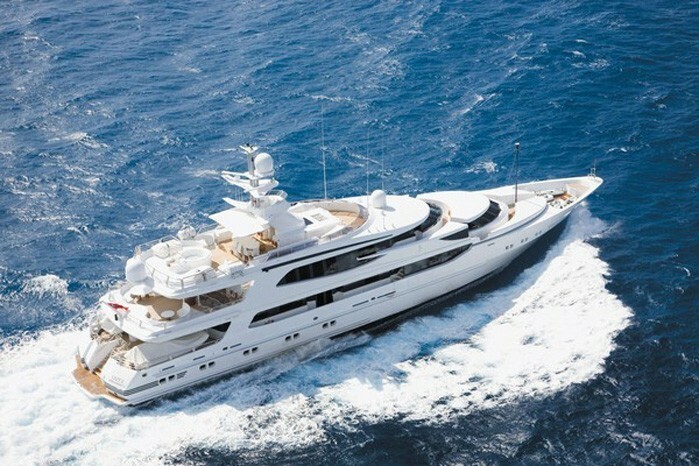 She has enjoyed a full repaint, teak deck work, and new carpets as well as some new furniture along with a complete upgrade of audio & visual electronic entertainment equipment, installation of Quantum Zero Stabilizers and high-speed communication gear during her 2015 refit. 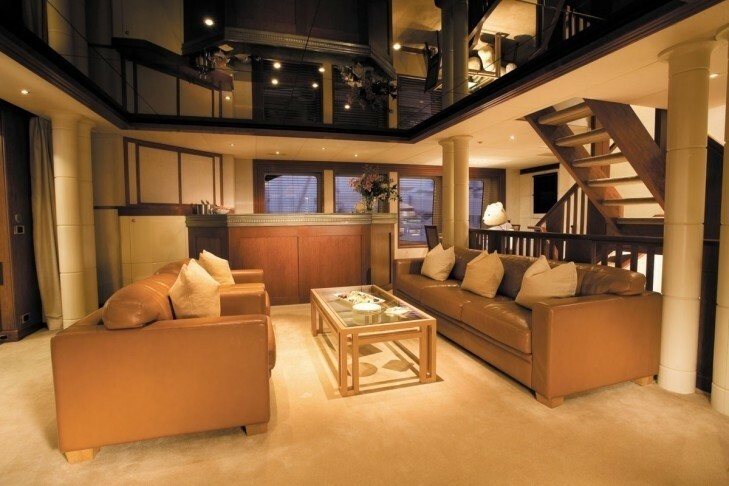 Luxury yacht Lazy Z’s main salon creates a very sophisticated formal entertaining area while the yacht’s equally spacious sky lounge encourages more of a relaxed and tranquil ambiance. 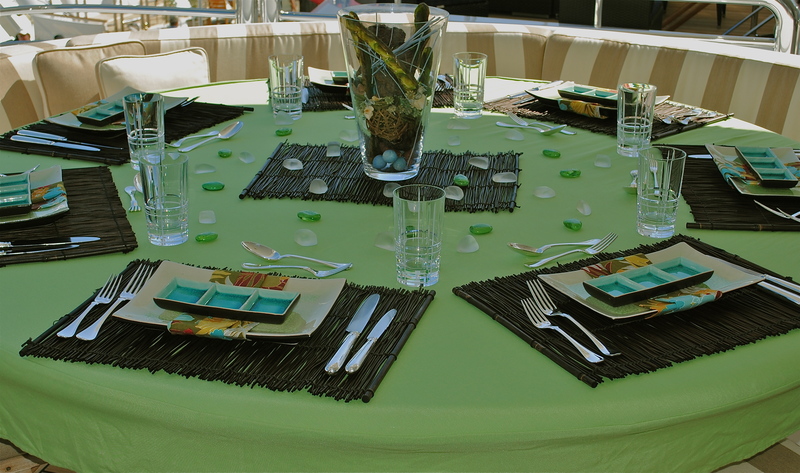 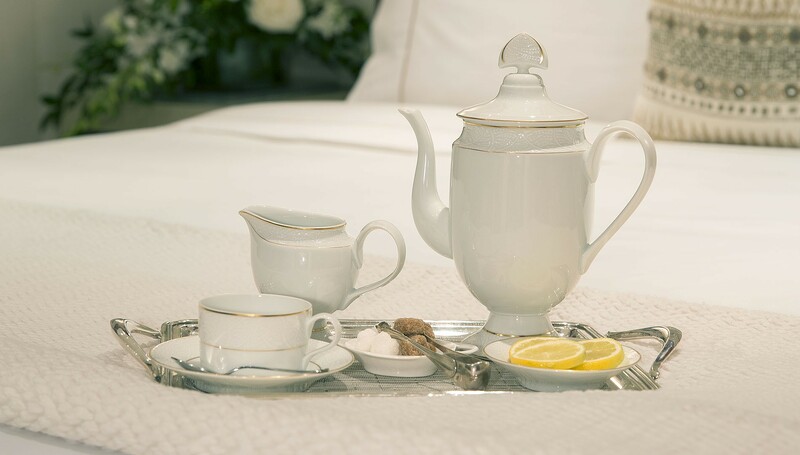 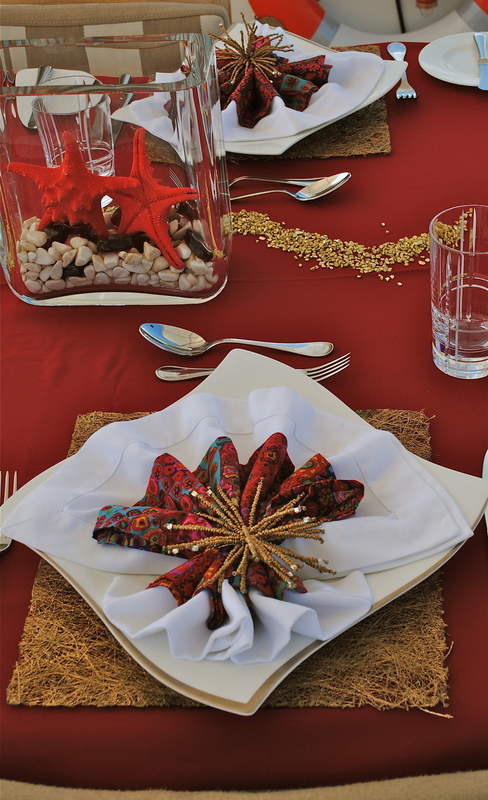 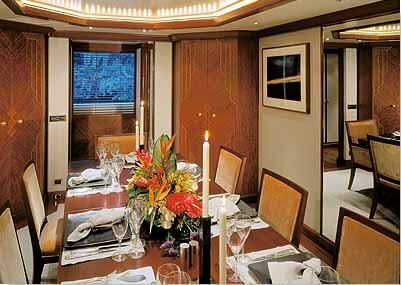 As well a formal dining she is also able to provide more casual entertaining events. 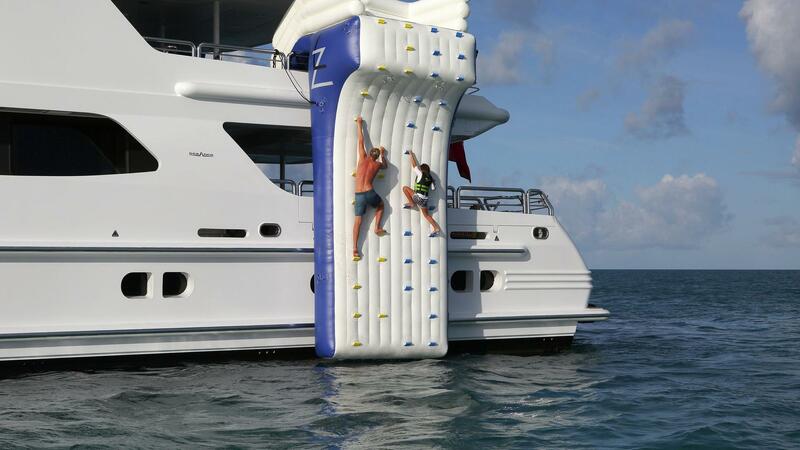 Lazy Z combines modern internal communication & entertainment systems with a large array of different out door ‘water toys,' for external fun. 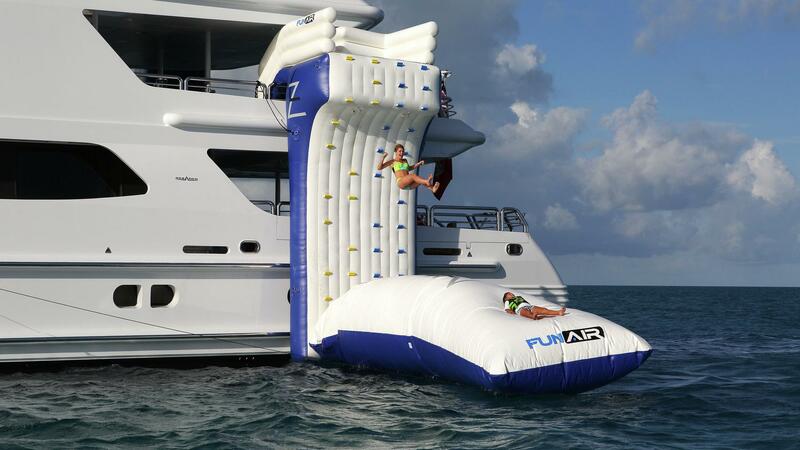 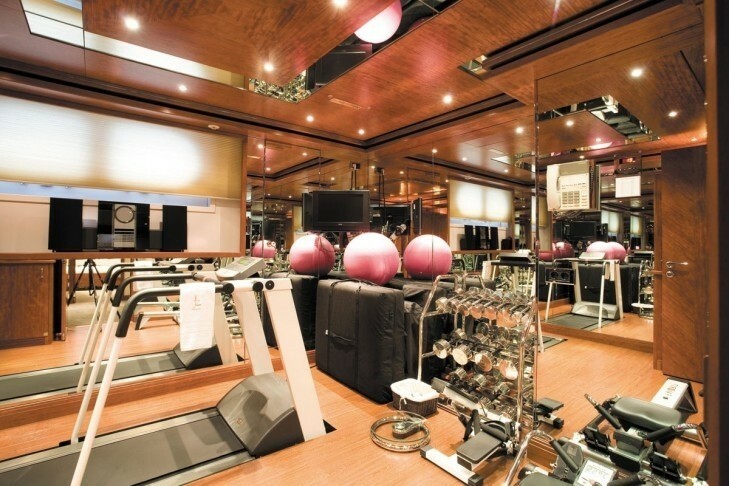 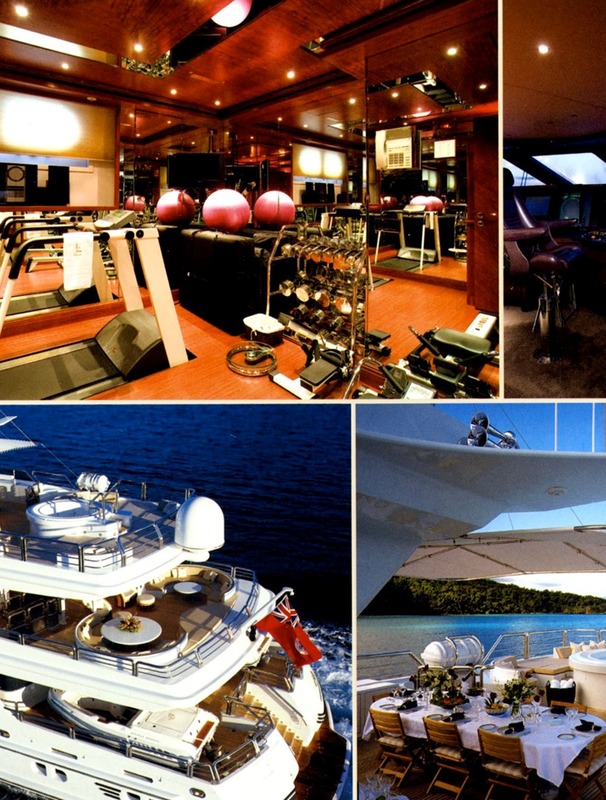 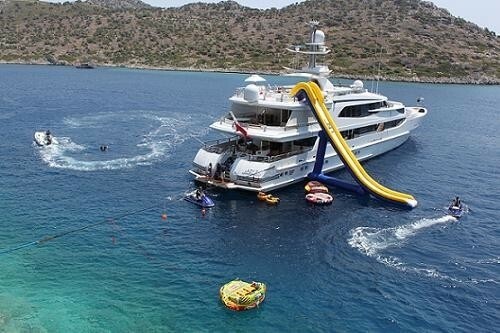 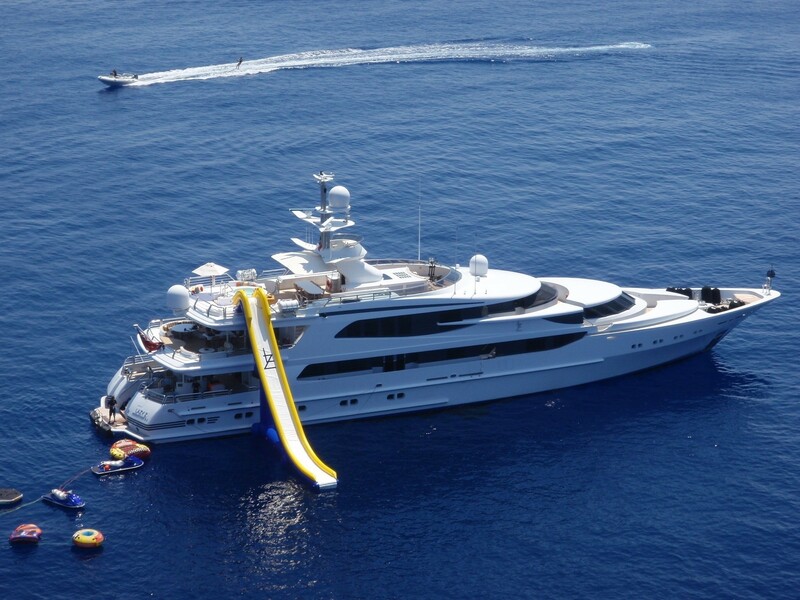 She is also well equipped for beach parties and has exercise equipment so that she is both luxury and fun. 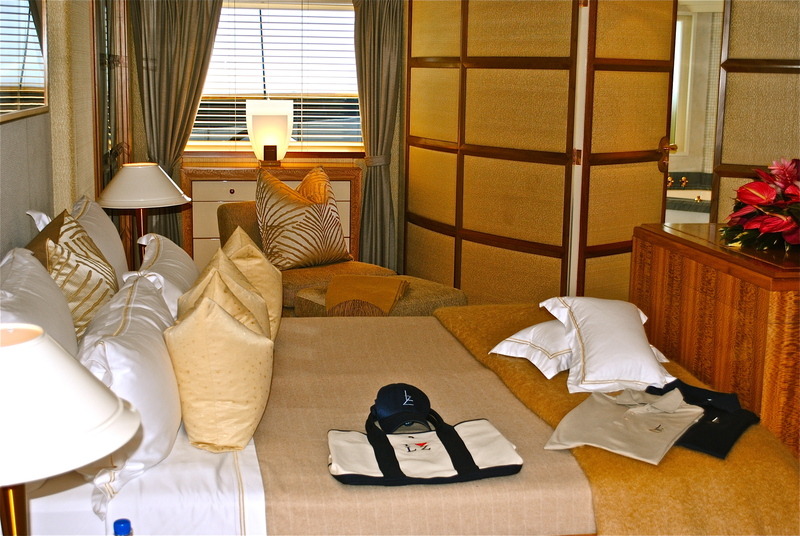 Crew service aboard Lazy Z is professional & friendly – a perfect complement to the yacht’s style, comfort, and exceptional quality. 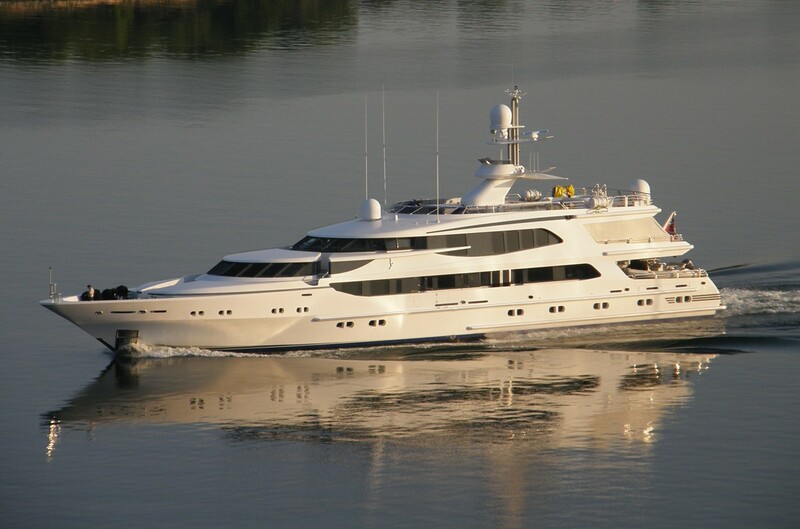 Lazy Z can accommodate 12 quests in her 6 spacious cabins. 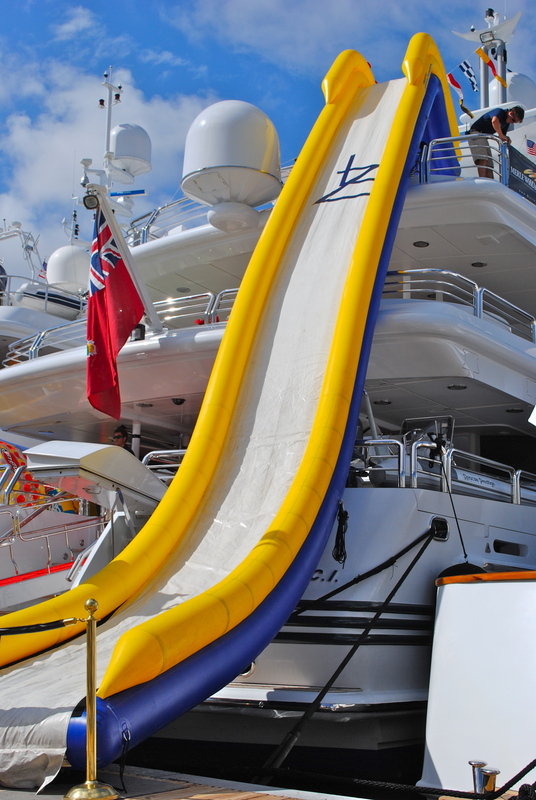 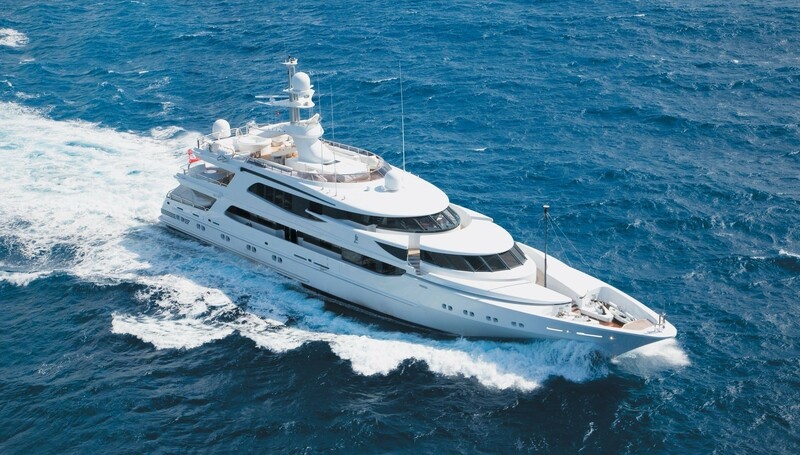 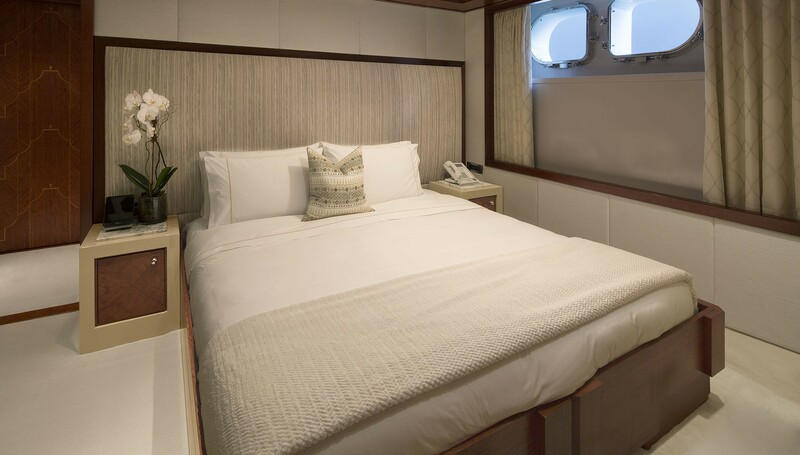 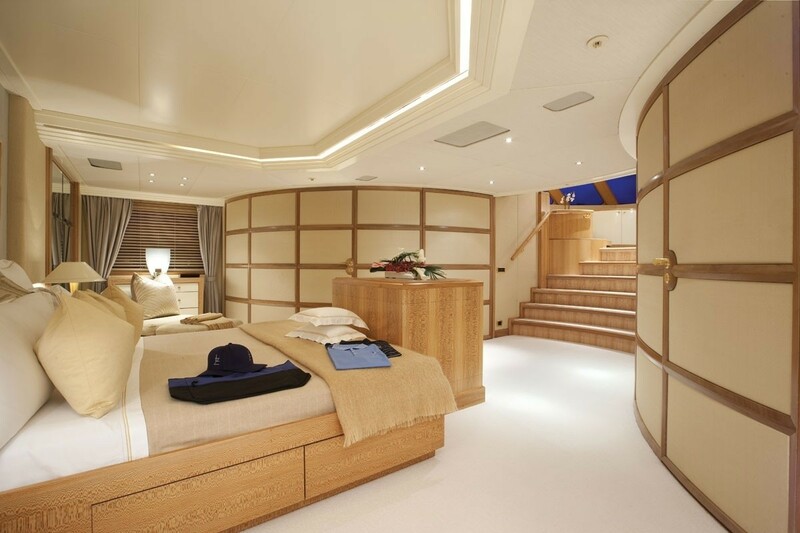 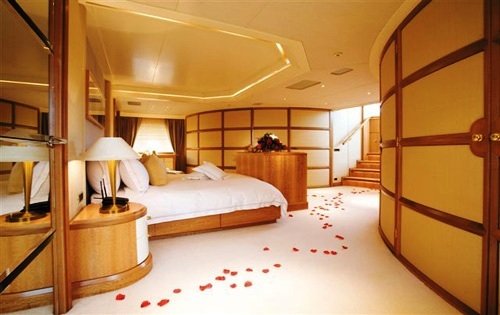 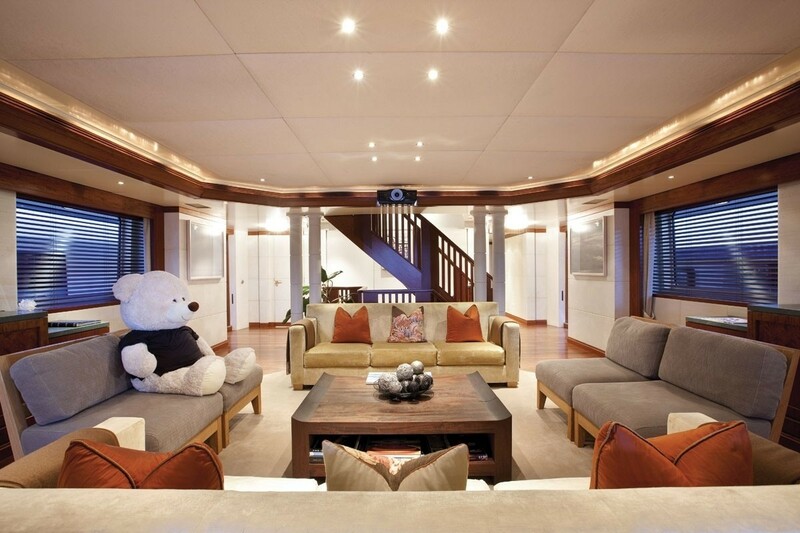 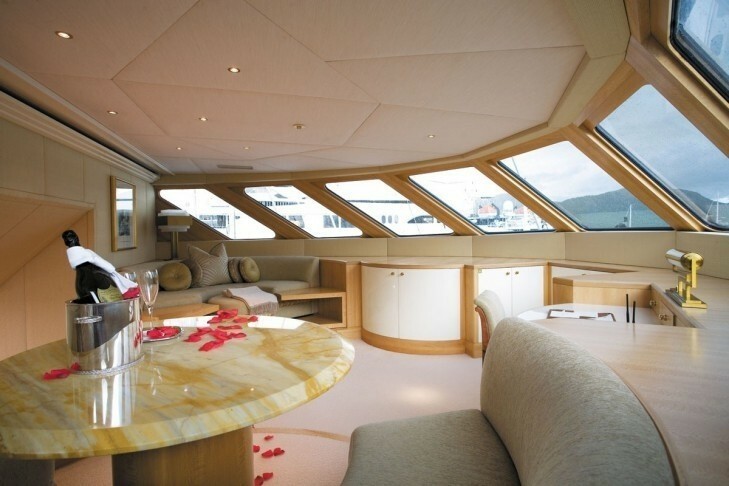 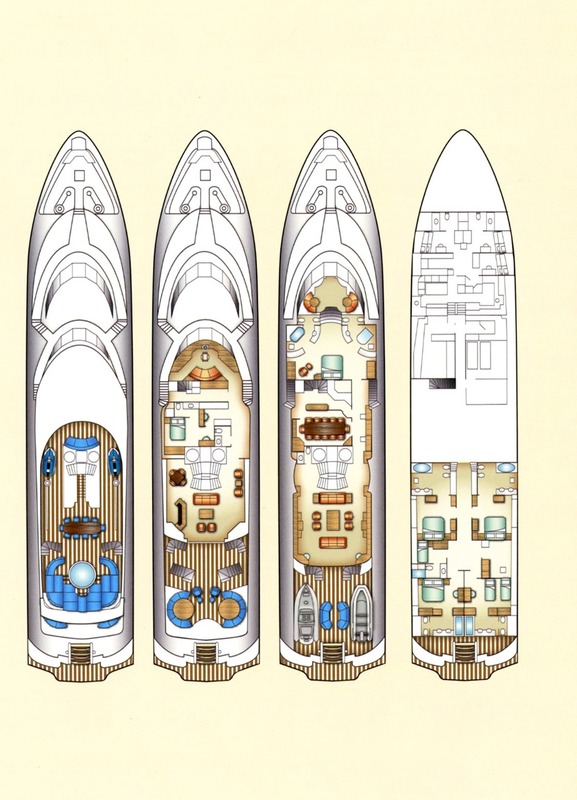 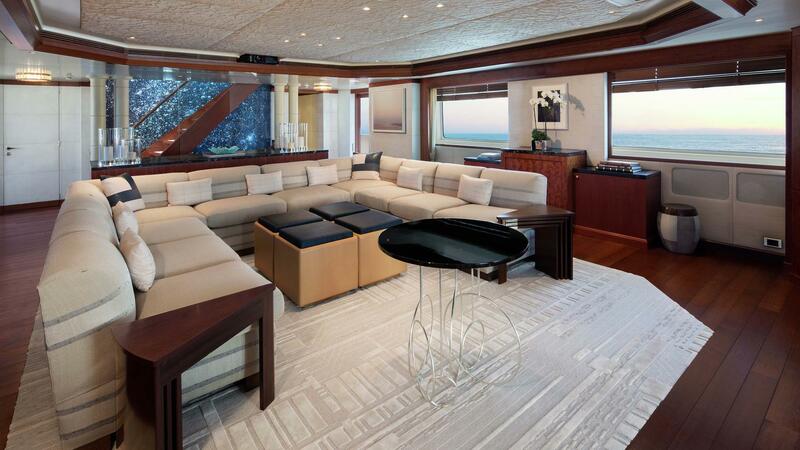 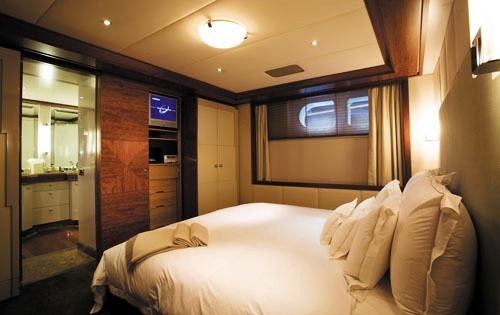 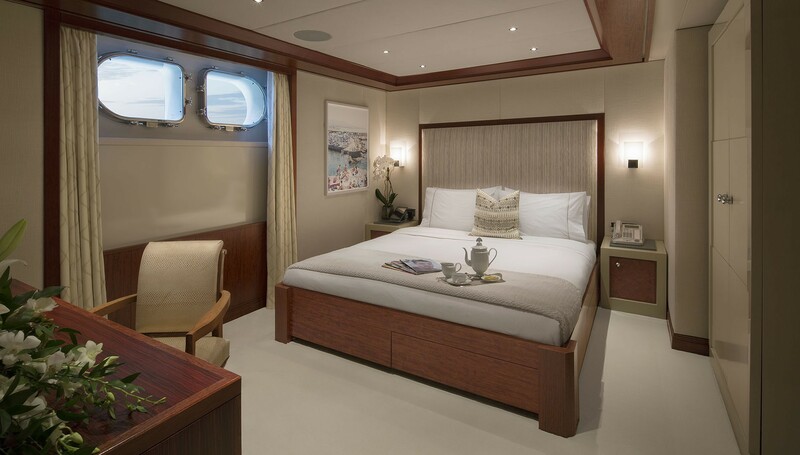 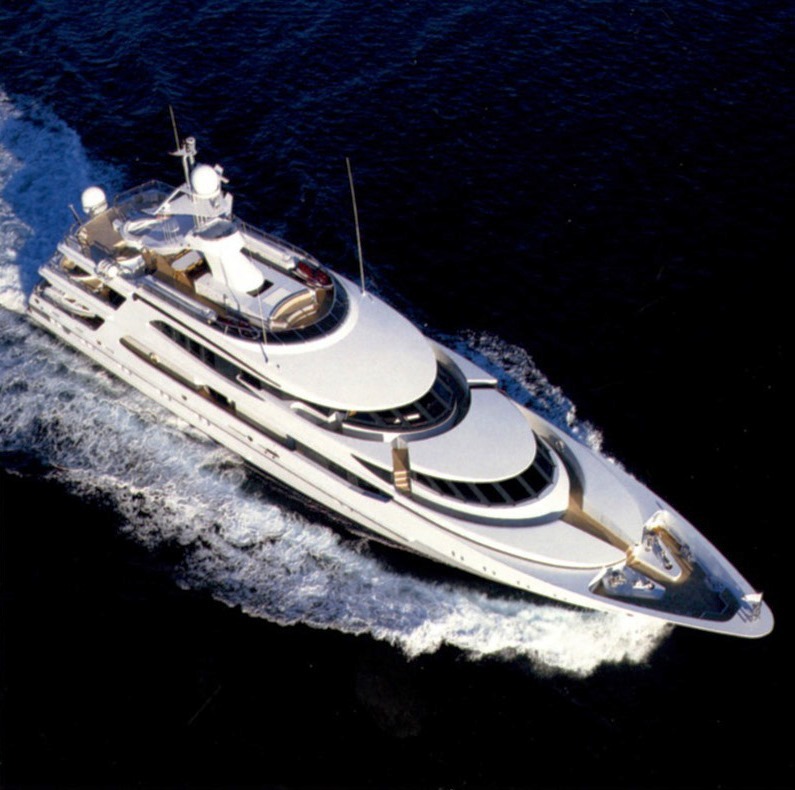 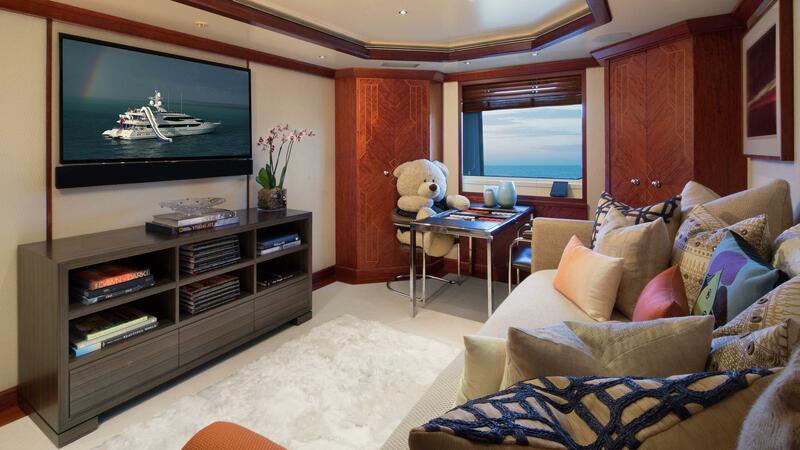 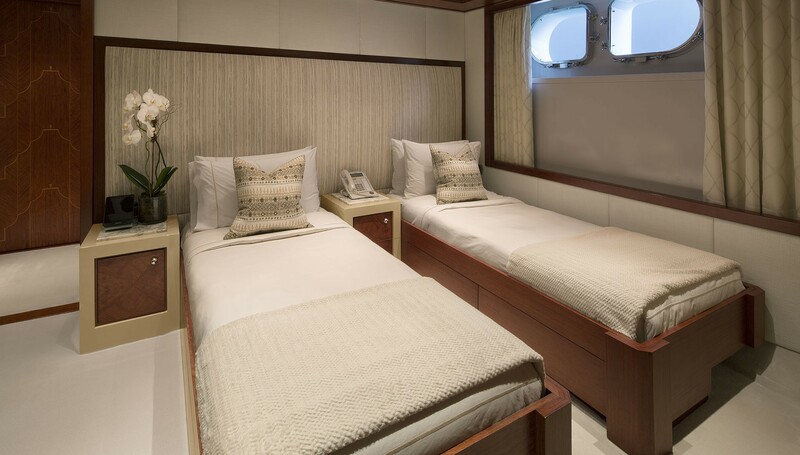 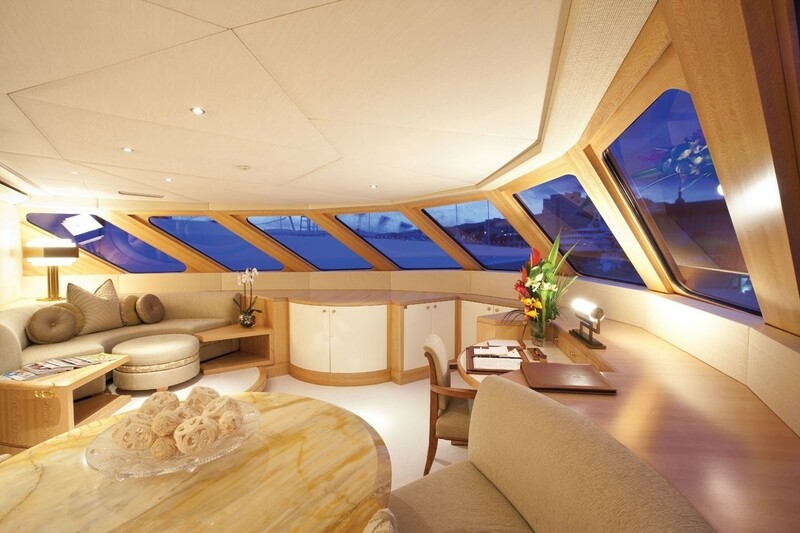 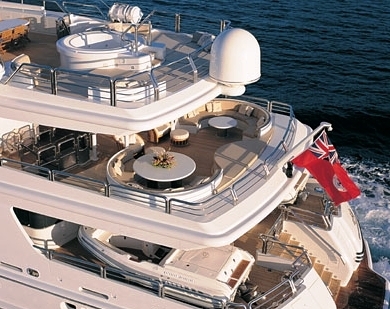 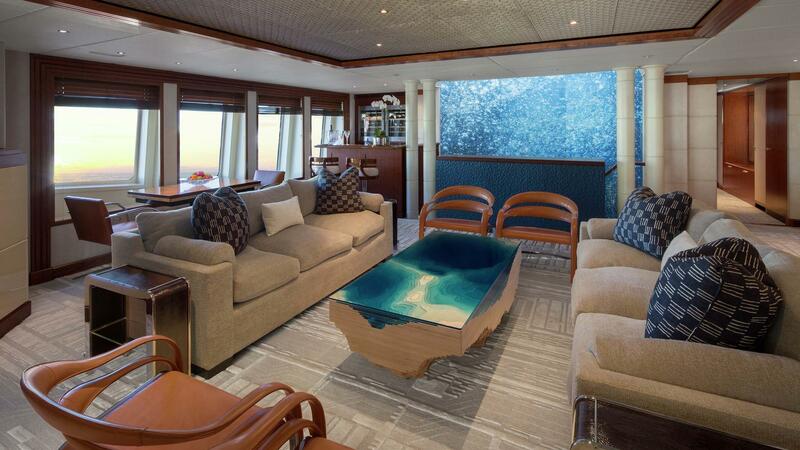 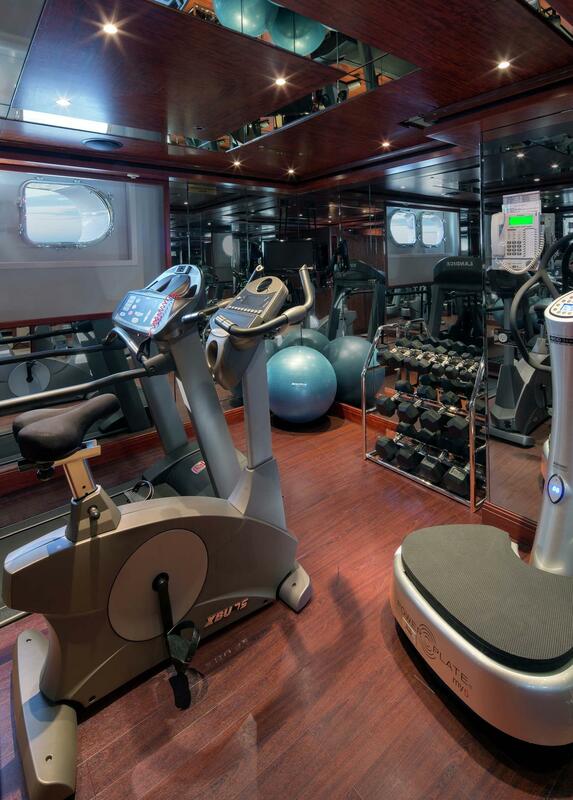 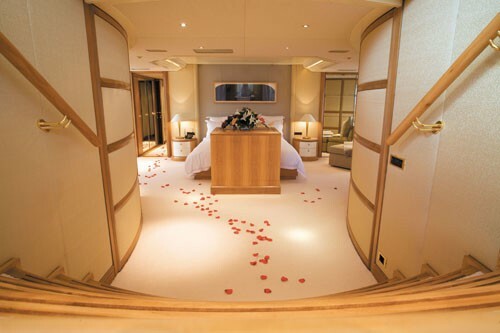 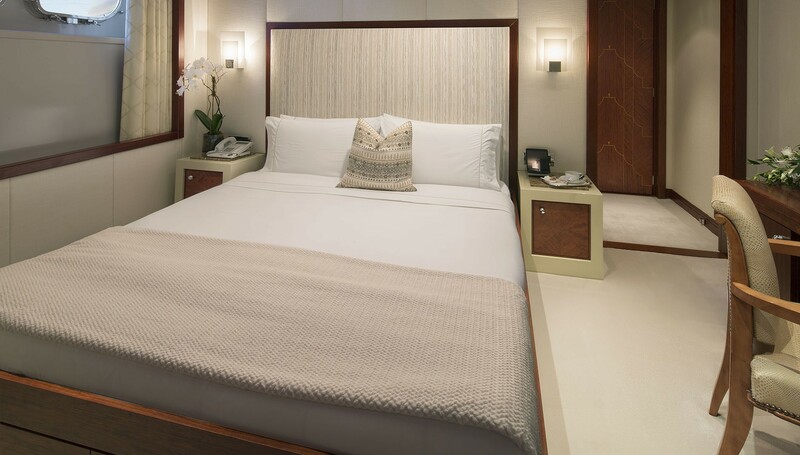 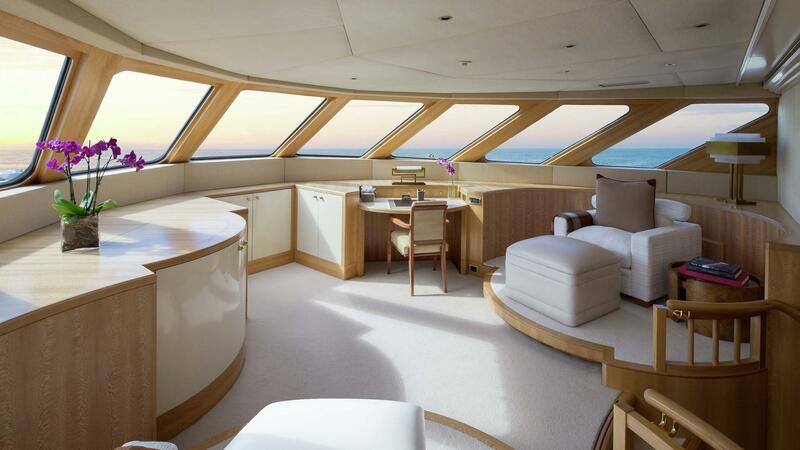 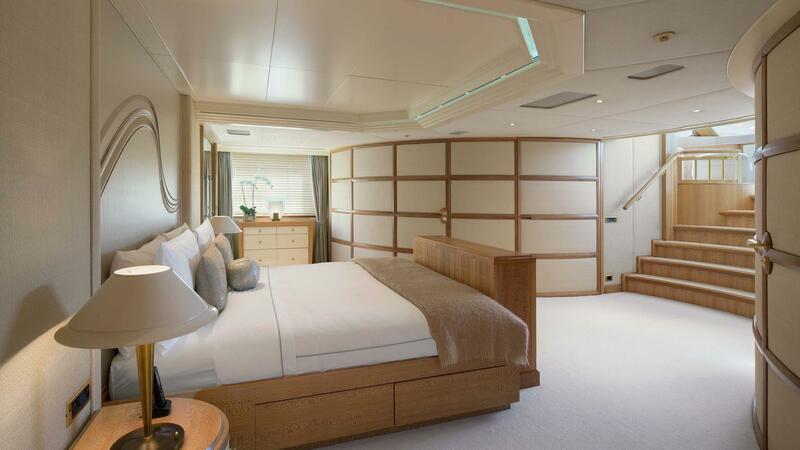 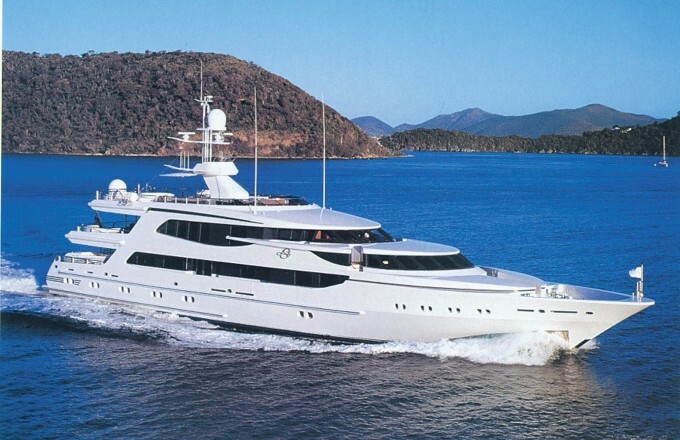 Her full-width and split-level main master suite is privately located forward on the yacht’s main deck. 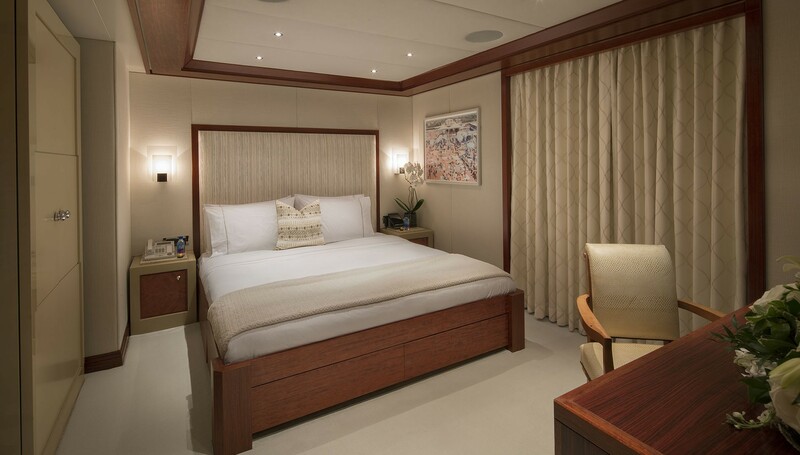 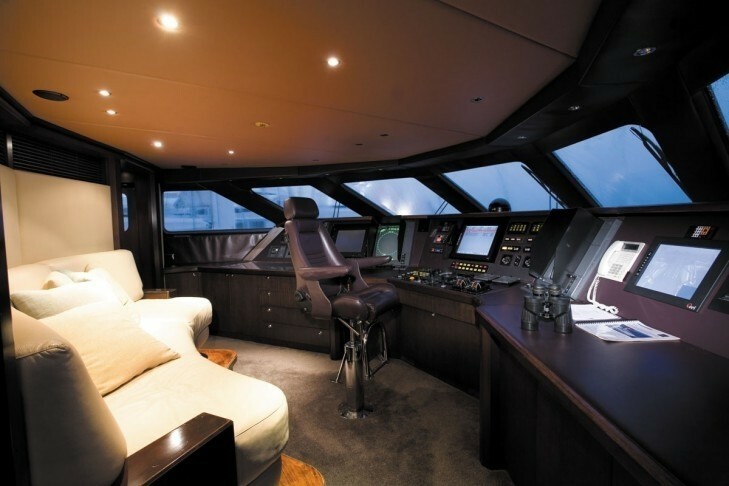 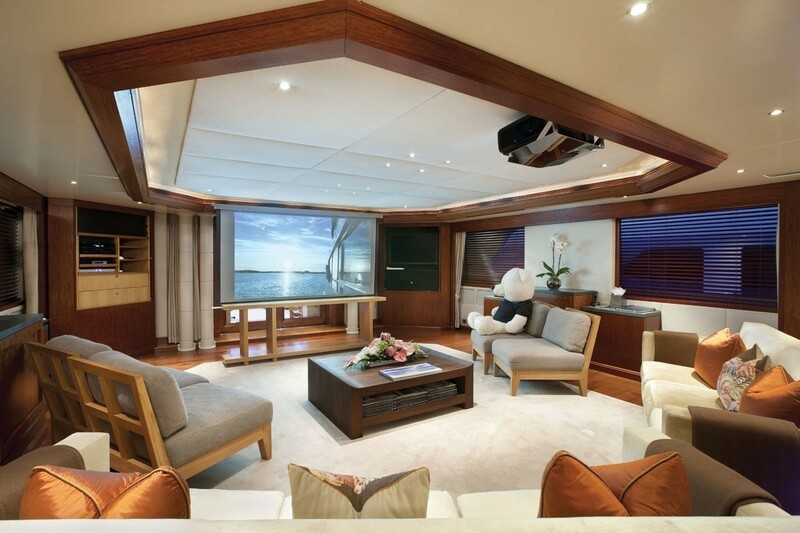 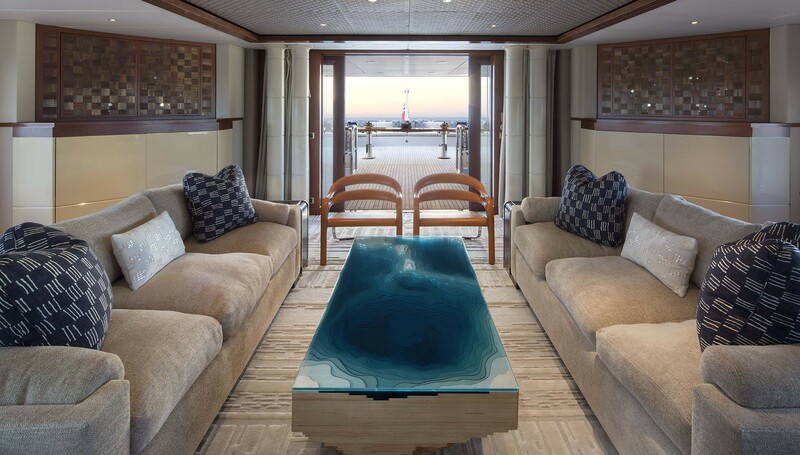 Behind the uniquely upholstered French doors lies a raised forward observation room, offering 180-degree sweeping views of the outside oceans or ports. 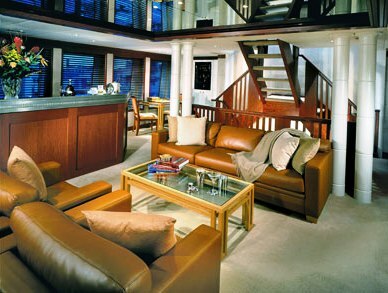 This room can be used as an office, a private salon or a television room, or even a breakfast area. 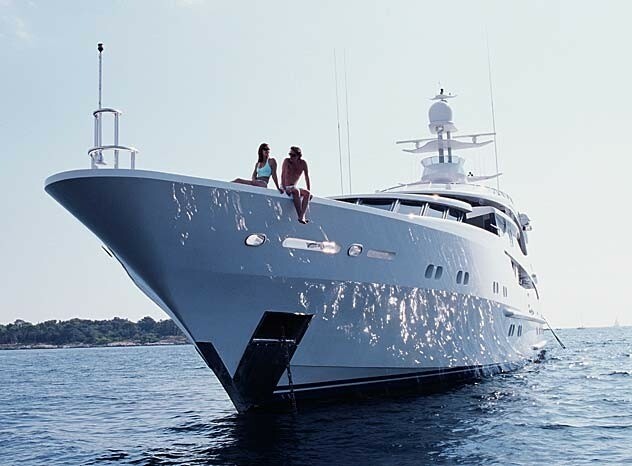 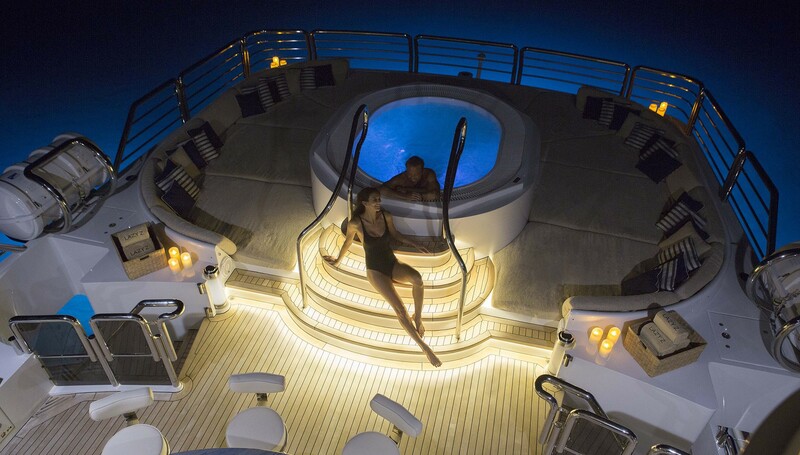 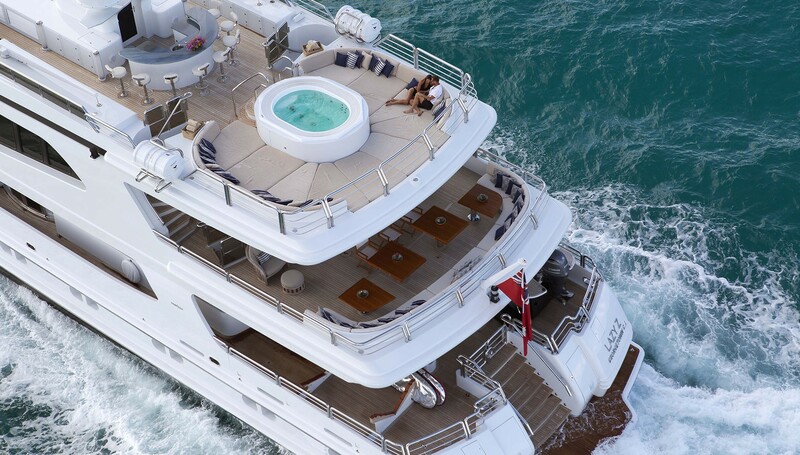 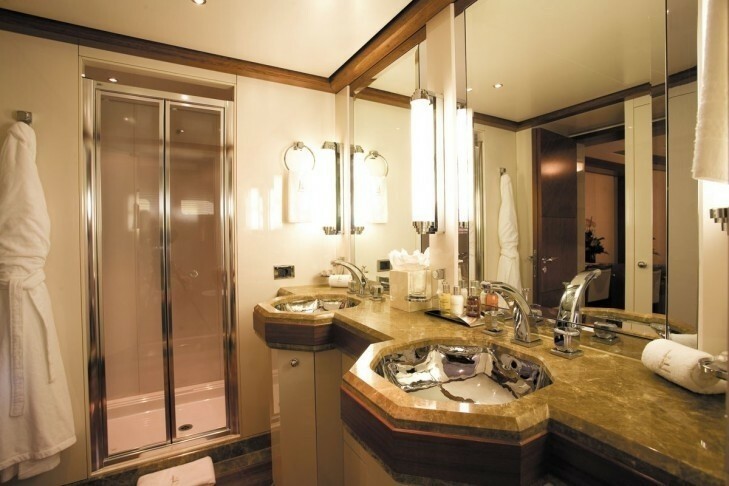 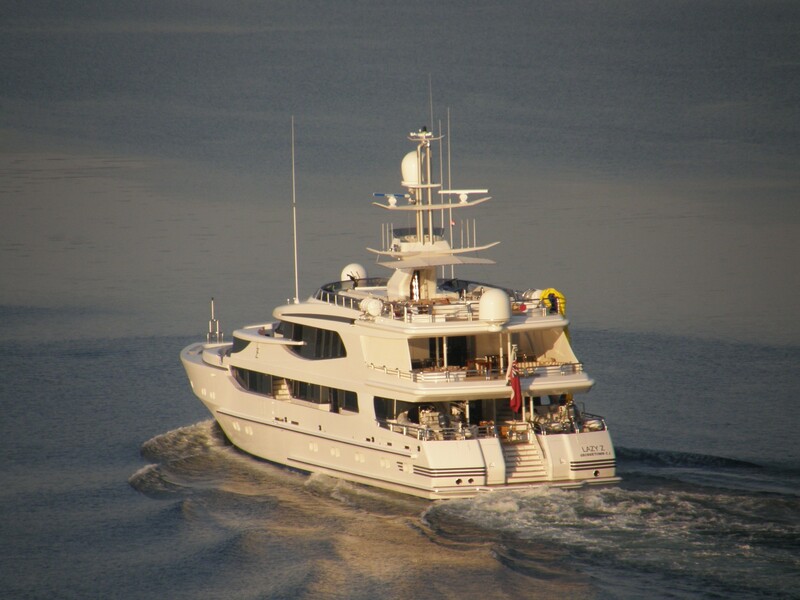 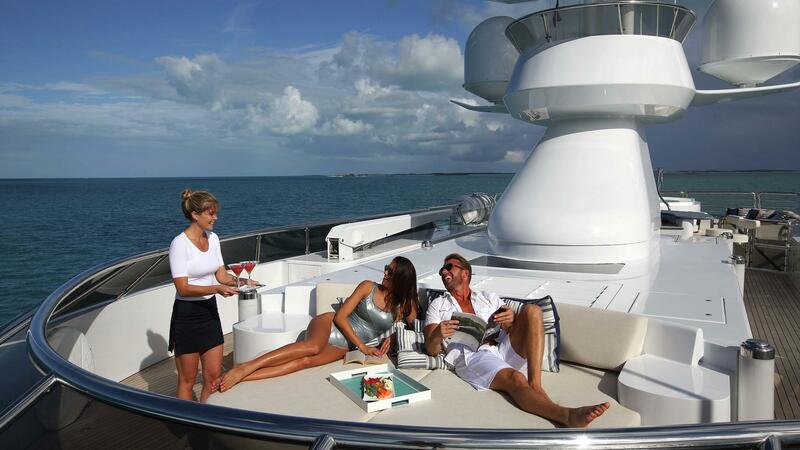 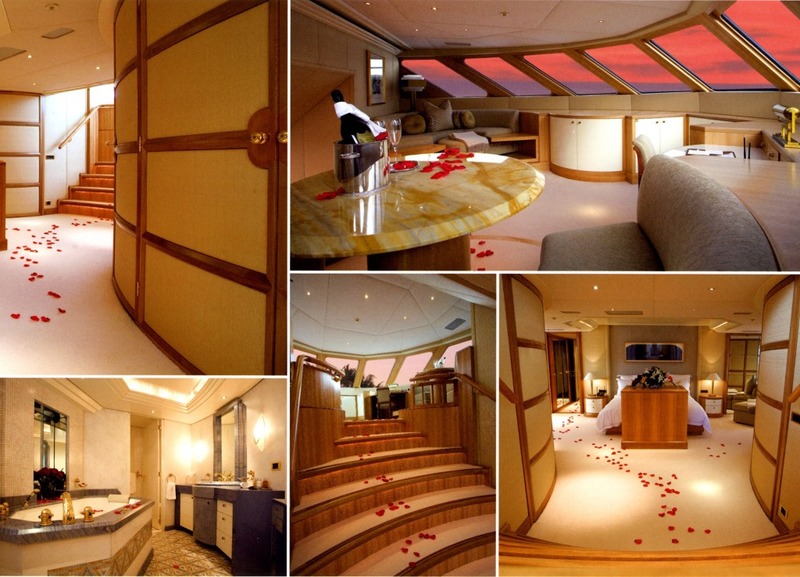 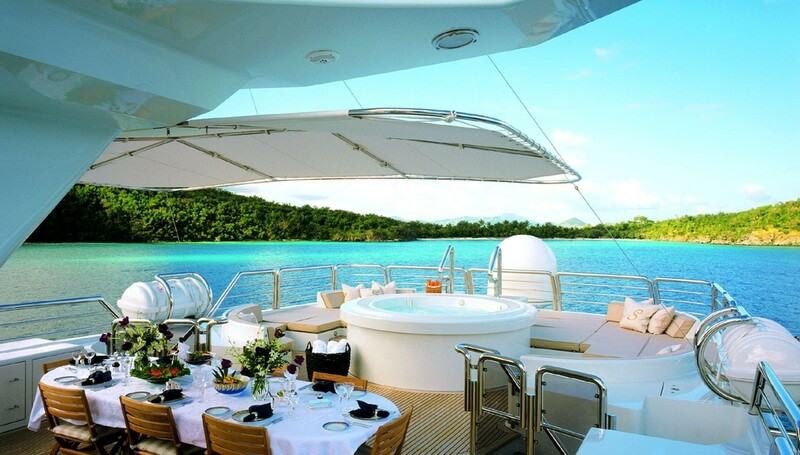 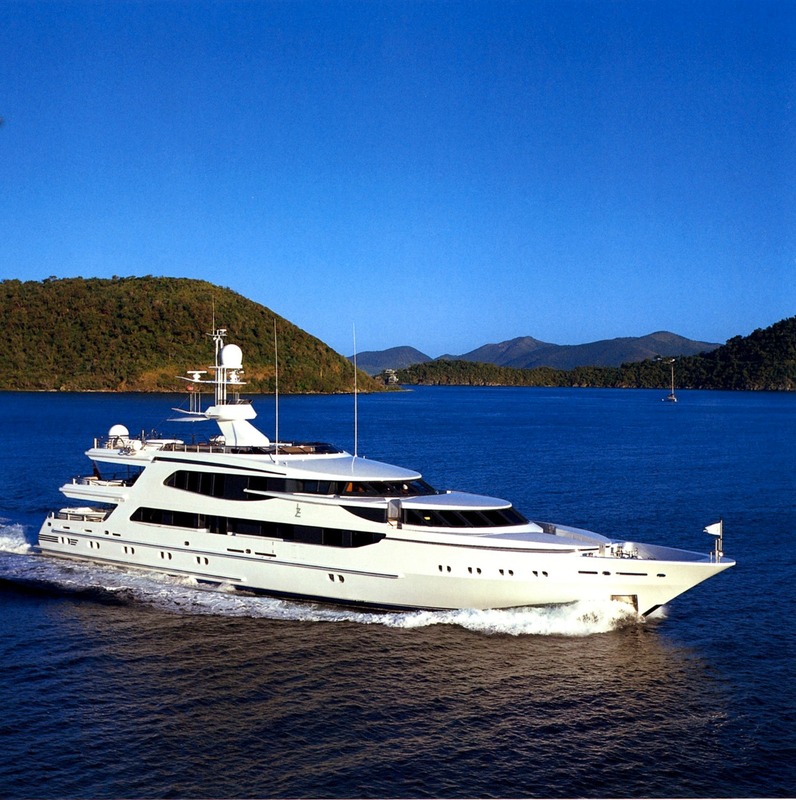 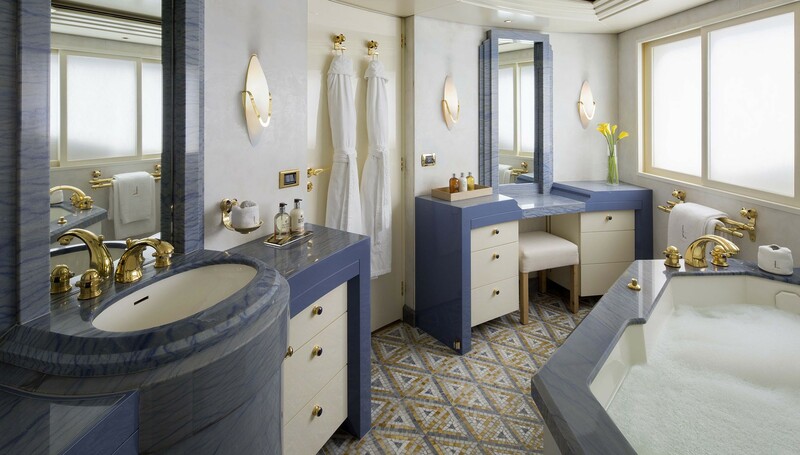 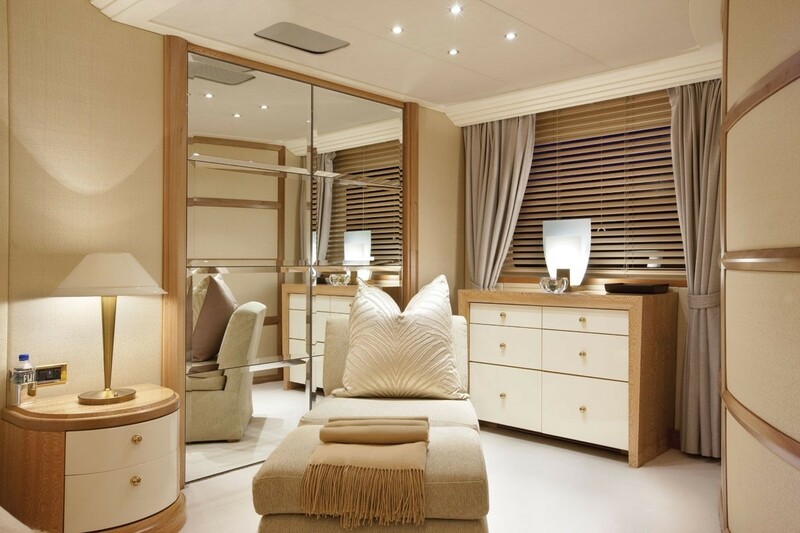 The yacht’s his & her bathrooms are finished beautifully in blue marble and include spa features and a Spa Pool. 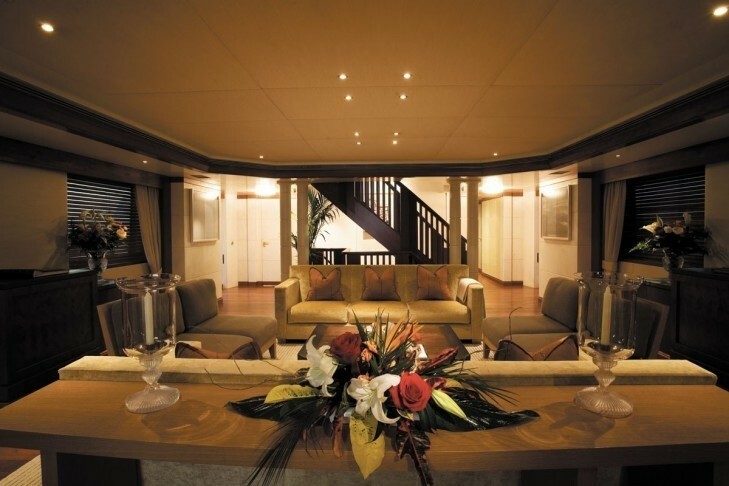 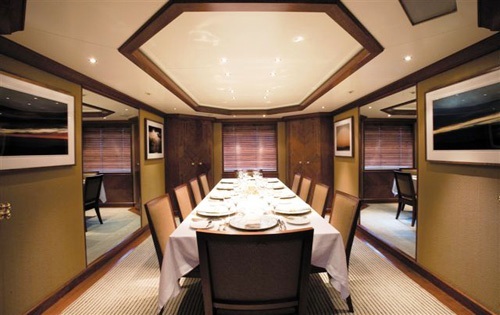 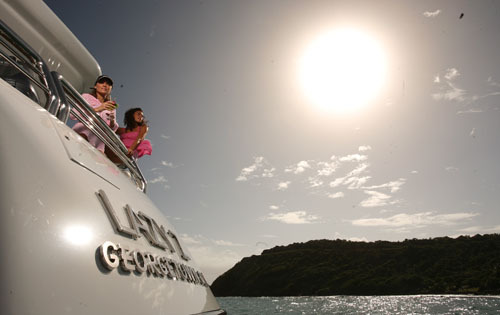 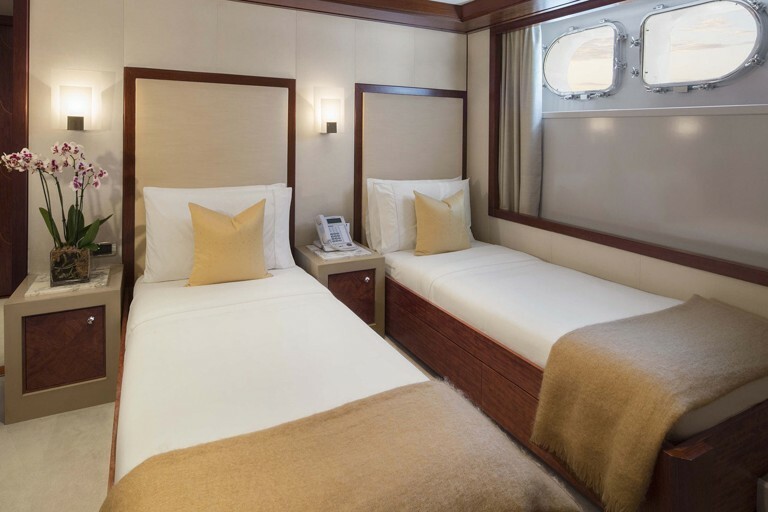 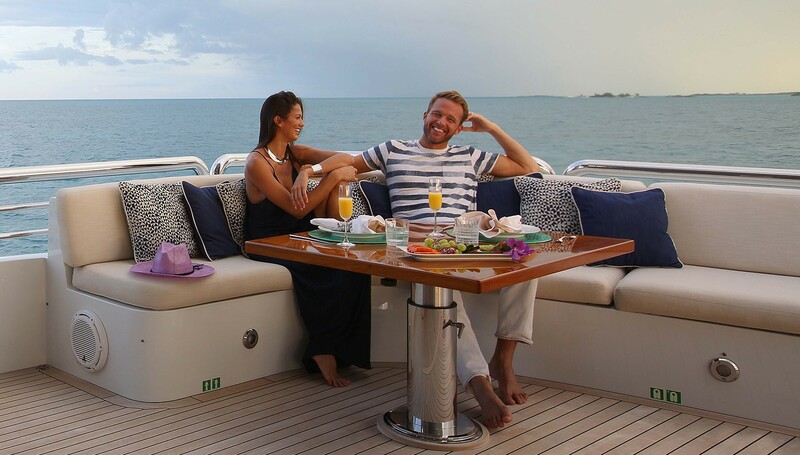 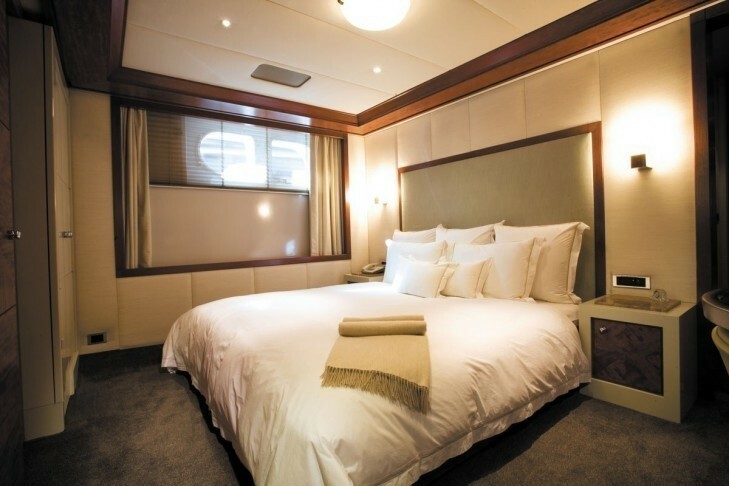 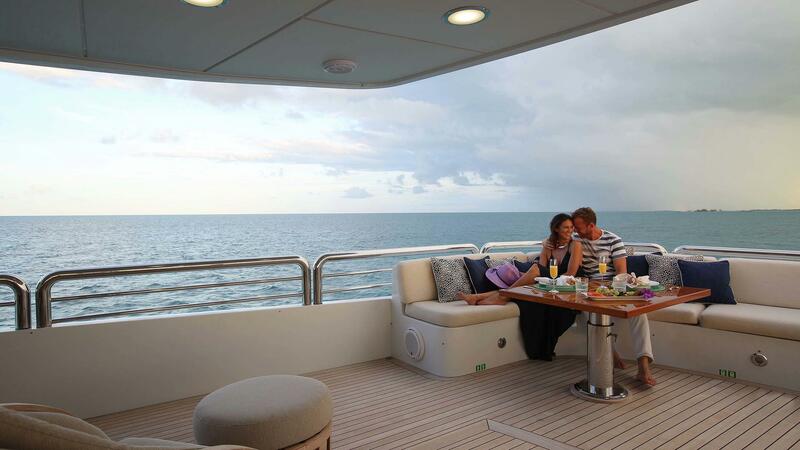 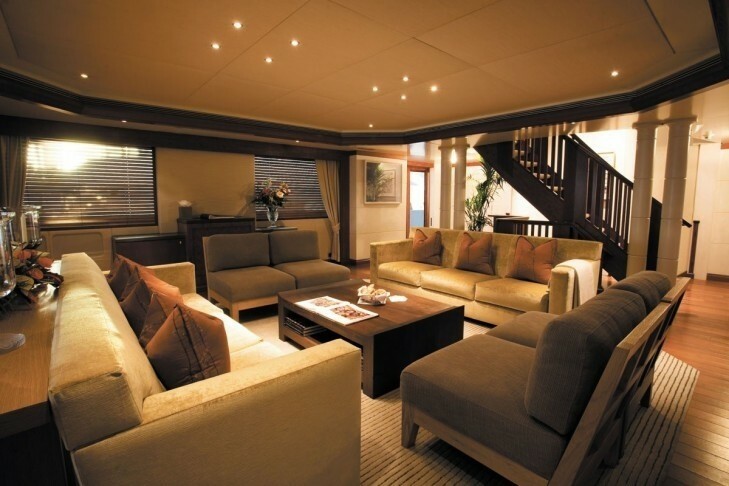 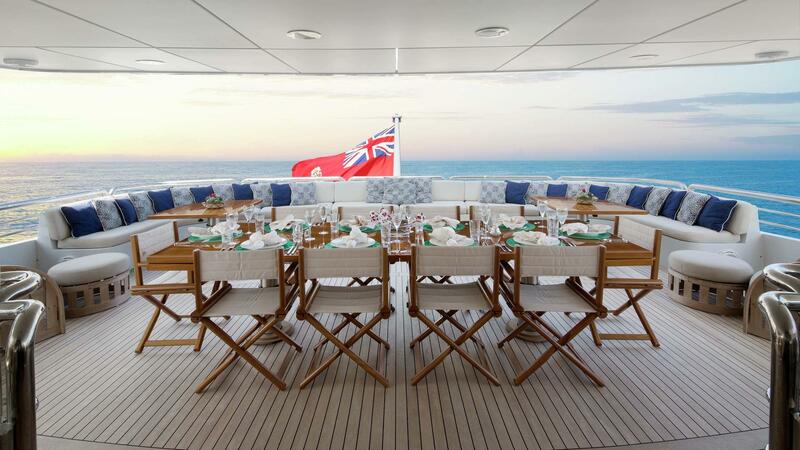 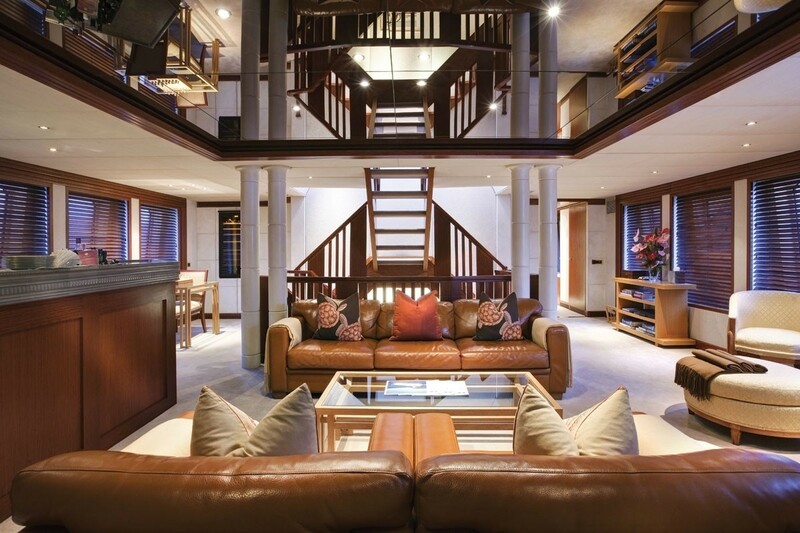 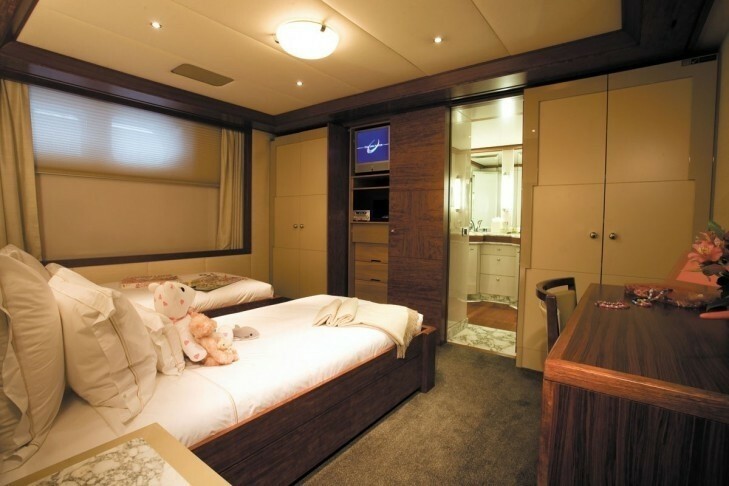 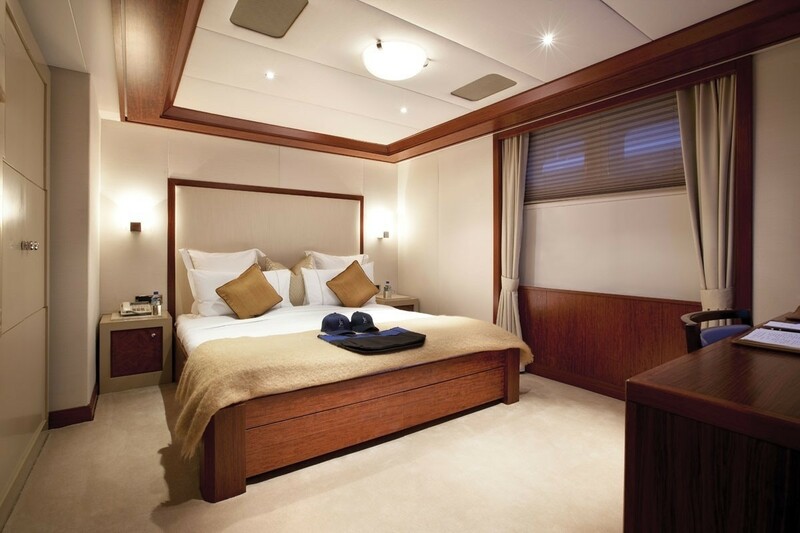 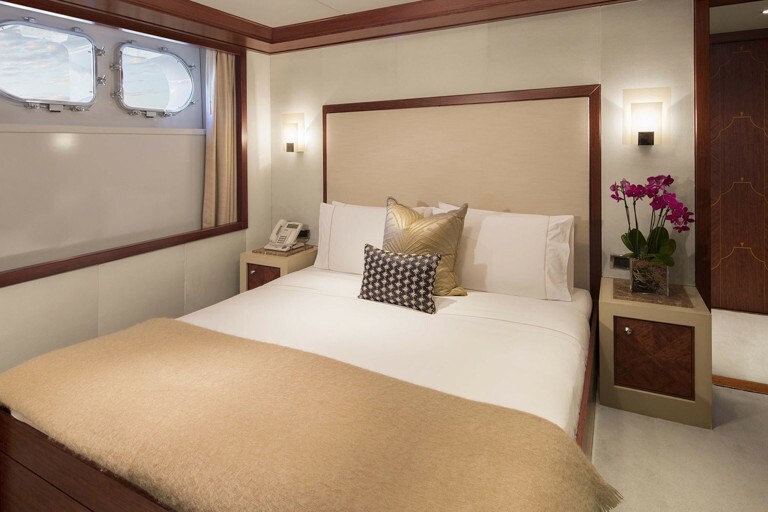 The remaining ten charter guests are comfortably accommodated on the lower deck in three Queen sized double cabins. 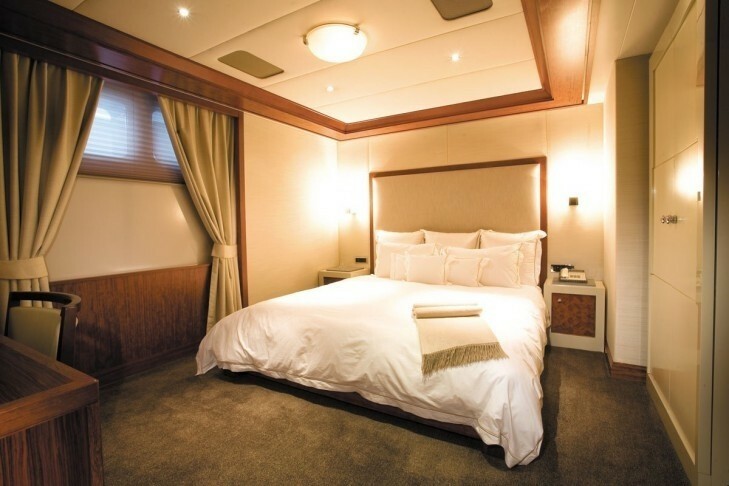 There is also one twin and one additional cabin (which includes a single fixed berth as well as a drop down Pullman). 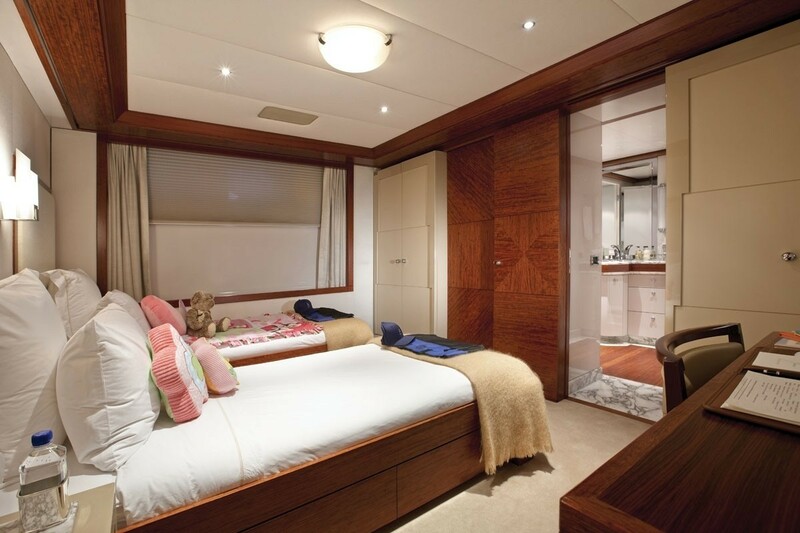 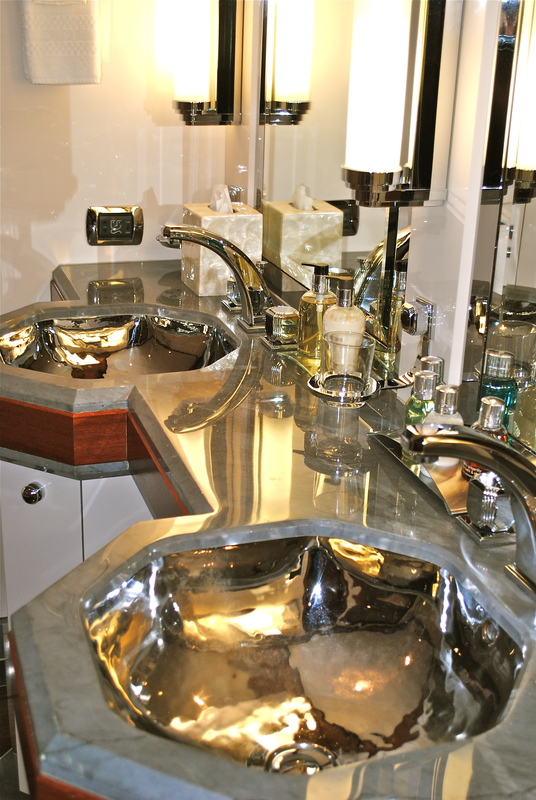 Each of the cabins features a private bath, a discreet safe, an ensuite and full electrical entertainment facilities. 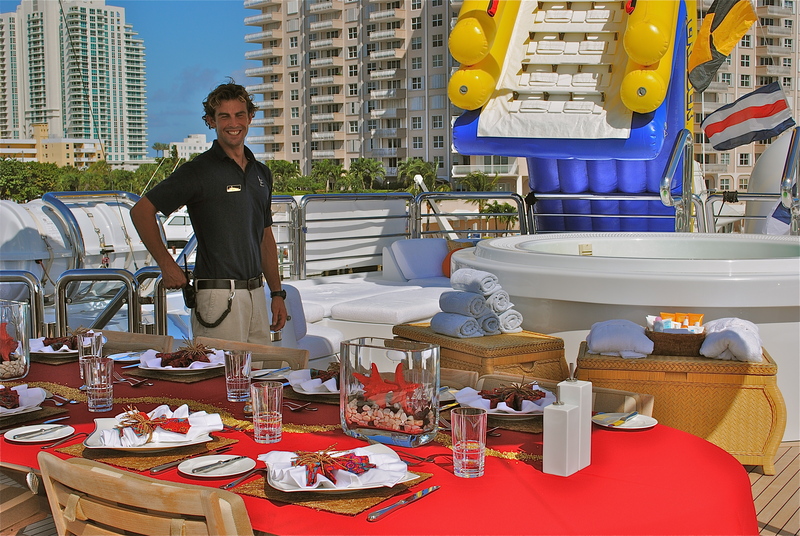 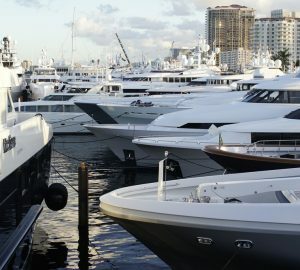 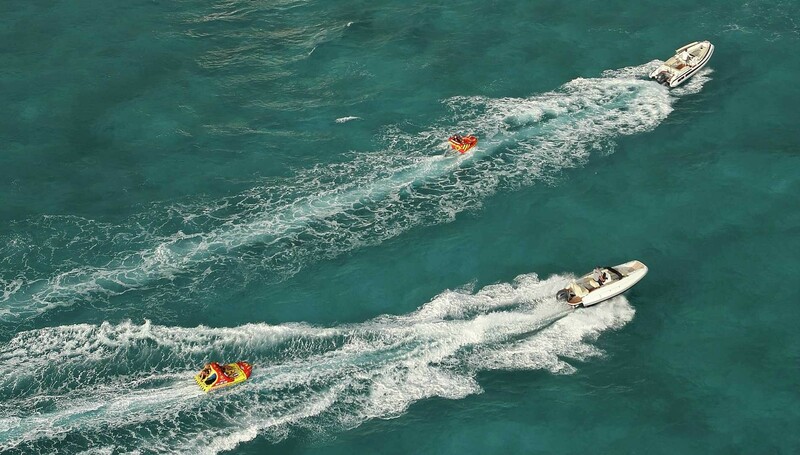 19' Nouvurania Equator tender with 230hp Yanmar inboard diesel with Hamilton Jet Drive), a 18 foot Nautica RIB tender with a 130hp Yamaha outboard, two Yamaha jet skis, 2 Deluxe wave runners, a Windsurfer, two Ocean Kayaks, a Sundeck Spa Pool pool and an expansive padded lounging and sunbathing area, various water skiing & towable gear Various Snorkeling equipment and Scuba dive gear including a dive compressor, Fishing equipment, a Beach tent and Inflatable 35ft water slide, Volleyball equipment as well as Beach games, rock climbing wall, 4 Bladefish. 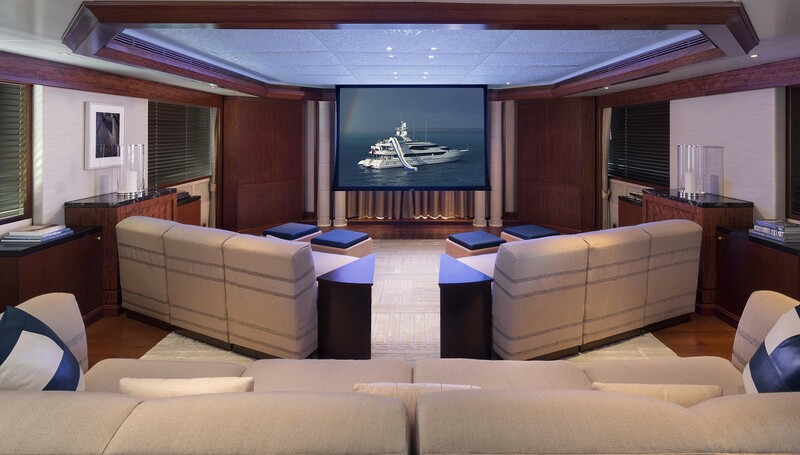 Her interior amenities include Gym equipment, audio visual entertainment equipment including TV, VCR & DVD, music stereo systems and a comprehensive CD and film library. 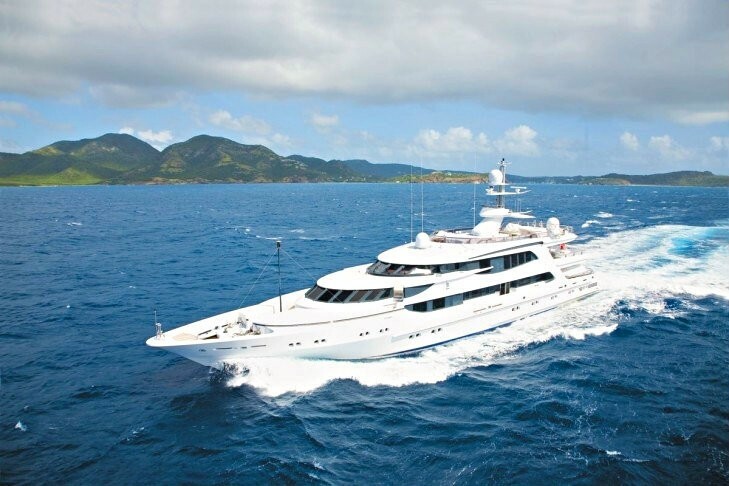 Communications include sat communication (telephone, fax, and email), cell phones and also Med Link Global Response Centre (linking the yacht and the guests directly to a Level 1 trauma center for emergency medical treatment).